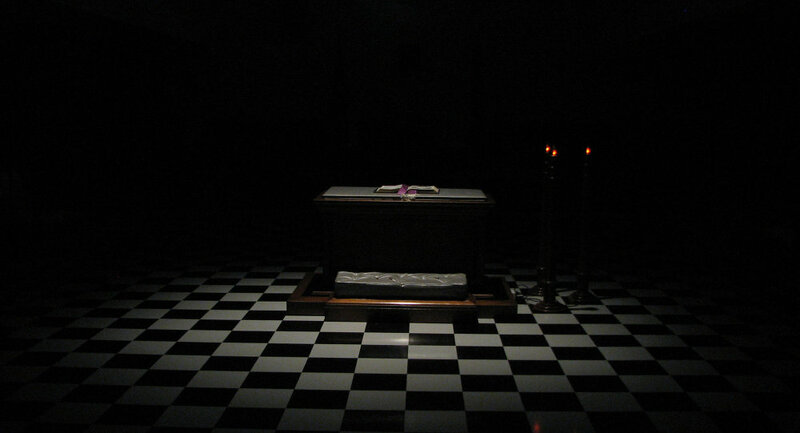 The "cryptocracy," or shadow government, concept is one of the most popular. According to this belief, real and actual political power does not reside with democratically elected public representatives, but with an elite set of individuals who exercise power behind the scenes. This secret government is not responsible to democratic institutions. Furthermore, according to conspirologists, official governments are subservient to it. The shadow government theory supporters point their finger at the Bilderberg Group (Bilderberg Club), a private organization founded in 1954. The Group annually brings together up to 150 political leaders and experts from academia, finance, media and industry in order to discuss the most burning political and economic issues. "The conference is a forum for informal discussions about megatrends and major issues facing the world. The meetings are held under the Chatham House Rule, which states that participants are free to use the information received, but neither the identity nor the affiliation of the speaker(s) nor of any other participant may be revealed. There is no detailed agenda, no resolutions are proposed, no votes are taken, and no policy statements are issued," the Bilderberg Meetings official website states. 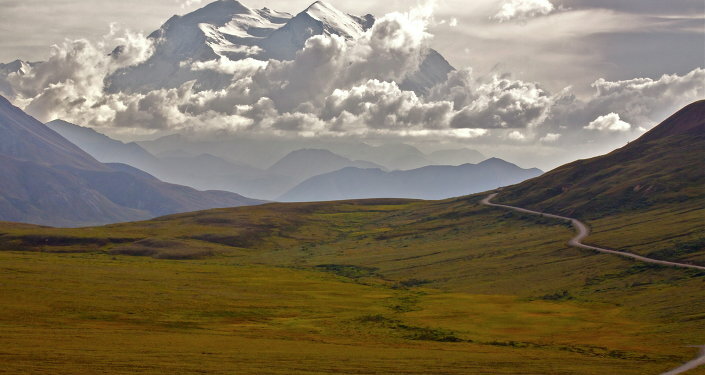 Untold Story of Alaska Purchase: Why Was Russia's Geostrategic Foothold Sold to US? Madrid-based author and investigative journalist Daniel Estulin is a longtime watcher of the secret group. In one of his books, entitled "The True Story of the Bilderberg Group" (La Verdadera Historia del Club Bilderberg), the author provided a report of the organizations' purported mission. According to the investigative journalist, the Group is considering the creation of "a One World Government (World Company) with a single, global marketplace, policed by one world army, and financially regulated by one 'World (Central) Bank' using one global currency." Estulin believes that among the Group's major objectives are: centralized control of all foreign and domestic policies; a New World Order with no middle class (just "rulers and servants"); one international identity and one set of "universal" values; "mind control" of the world's population; imposing a universal legal system; making NATO the world's military; manufactured crises and perpetual wars etc. The author points out that the Bilderberg Club is not acting alone. It has influential secret partners — two groups of "global power brokers": the US-based Council on Foreign Relations (CFR) and The Trilateral Commission, founded in 1973 by David Rockefeller, who is at the same time a leading Bilderberger and CFR Chairman Emeritus. The triple alliance is advocating a global super state with the US and other nations ceding their sovereignty to a global central power. "Imagine a private club where presidents, prime ministers, international bankers and generals rub shoulders, where gracious royal chaperones ensure everyone gets along, and where the people running the wars, markets, and Europe (and America) say what they never dare say in public," Estulin underscored. However, according to other researchers, the Club is unfairly demonized. Regardless of their purported goals, neither the Bilderberg Group nor CFR with the Trilateral Commission have got enough political and economic resources to rule the world, experts say, insisting that evidently "the devil" is not so black as he is painted by conspirologists. At the same time, there are analysts who believe that Bilderberg is just the tip of the iceberg and refer to another influential secret group — Le Cercle — also established during the Cold War era. Le Cercle is not as well-known as the widely discussed Bilderberg Group. It was founded in the early 1950s as an elite clandestine forum targeted against the USSR. According to investigative journalist David Teacher, the little known but powerful Le Cercle (or Pinay Cercle) has been focused on domestic subversion and has used its network of propagandists and intelligence agents to carry out smear campaigns against progressive European and US politicians in order to promote their favored candidates. Teacher pointed out that the group played a crucial role in the fall of the Iron Curtain and then orchestrated the integration of Eastern Europe into the European Union. "Amongst Cercle intelligence contacts are former operatives from the American CIA, DIA and INR, Britain's MI5, MI6 and IRD, France's SDECE, Germany's BND, BfV and MAD, Holland's BVD, Belgium's Surete de l'Etat, SDRA and PIO, apartheid South Africa's BOSS, and the Swiss and Saudi intelligence services. Politically, the Cercle complex has interlocked with the whole panoply of international right-wing groups: the Paneuropean Union, the European Movement, CEDl, the Bilderberg Group, WACL, Opus Dei, the Moonies, Western Goals and the Heritage Foundation. Amongst the prominent figures associated with the Cercle Pinay were Antoine Pinay, Konrad Adenauer, Archduke Otto von Habsburg, Franz Josef Strauss, Giulio Andreotti, Paul Vanden Boeynants, John Vorster, General Antonio de Spinola, Manuel Fraga Iribarne, Margaret Thatcher and Ronald Reagan," Teacher wrote in his book "Rogue Agents: Habsburg, Pinay and the Private Cold War 1951-1991." 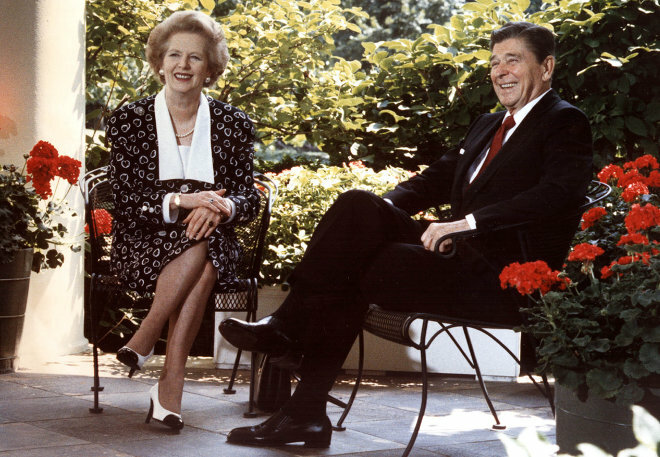 Former US President Ronald Reagan and former British Prime Minister Margaret Thatcher as they pose for photographers on the patio outside the Oval Office, Washington,DC. For instance, in the late 1970s Le Cercle supported NATO's decision to station new medium-range nuclear weapons — Cruise and Pershing II missiles — in Britain, Germany, Belgium and Holland targeted against the USSR. Le Cercle helped to discredit the European peace protest movement which emerged against the backdrop of the nuclearization of Europe through aggressive counter-intelligence, provocations and disinformation. "In contrast to the public conception of "conspiracy theories," the links uncovered by parapolitical research are rarely lines of command. Parapolitical activity is not pyramidal like a government hierarchy; it is connective, a network of nodes like a circle of friends… and here the Cercle came into its own as a group with a world-wide agenda, connecting and, to some extent coordinating the activities of groups in many different countries," David Teacher elaborated. However, analysts should neither exaggerate nor demonize the impact of parapolitical secret entities on history, according to Andrei Fursov, a Russian historian and researcher at the Institute of Scientific Information on Social Sciences of the Russian Academy of Sciences (RAS). The historian insists that there is no such thing as a "shadow government" that rules the world. He warns researchers against making wild claims about the true nature of transnational clandestine groups, stressing that they are "very routine" structures of global financial and political elites. The primary role of these entities is to serve as a platform for coordination and cooperation of the world's "power-brokers" interrelated competing groups. The roots of these clandestine forums lie deep in European history and are closely connected with the development of capitalism, according to Fursov. Remarkably, in the 17-18th century European financial moguls used Masonic transnational networks in order to expand their trade connections, evading at the same time government control, the historian noted. In the book "De Conspiratione" ("About Conspiracy") Fursov analyzed the genesis of European capitalism and provided evidence showing that transnational clandestine organizations are an integral part of the capitalist system. However, the "secret history" of clandestine organizations remains largely neglected although a lot of information about their activities has recently surfaced. "After the first silence the small man said to the other: "Where does a wise man hide a pebble?" And the tall man answered in a low voice: "on the beach." The small man nodded, and after a short silence said: "Where does a wise man hide a leaf?" And the other answered: "In the forest." MH17 Crash: Is West Really Willing to Find Out the Truth?